My son and I played tennis this morning and I didn’t end up in the emergency room. Okay, I am exaggerating again, I have played tennis with him many times and ended up all in one piece. A year ago I was hitting the ball around with my son in front of my house. I didn’t feel like driving to the tennis court so we made a makeshift court on our street (dodging the cars as they came off the highway was a challenge, but they usually honked to warn us they were coming.) The problem with playing in the street is that the street has a curb. We were about at the end of our “game” when my son dropped a shot right over the “net” and being the competitive person that I am, I ran for the ball, dove, tripped over the curb and landed on my shoulder. The pain was excruciating, but the humiliation was almost worse. I kept thinking man, this hurts, and how many neighbors saw it? I haven’t played tennis in the street since then. I have no desire to spend all morning in the emergency room. The drugs afterwards were almost worth it, but the year long healing wasn’t! My son is almost 13 and has improved his game so much in the last year. It helps that he has played so much more than I have, but I think his age also gives him a slight edge over me—at least when it comes to energy. I try to make up for that with skill. That doesn’t work so well now. I surprised myself with some pretty decent whacks at the ball. I mean I wasn’t great, my backhand was horrible, but I held my own, and wasn’t even tired for a whole 10 minutes! It was only 500 degrees at 8:30am so cut me some slack here. The sun was beating down on my face, but I kept going. I looked my opponent in the eye and determined I would give him my all, even if I was sore in the morning. After 60 minutes of getting beat at the net and listening to the victory screams of my son, he let me know that I might want to trade sides for a little while (we weren’t playing a real game just hitting back and forth.) I went over to the other side of the net and was welcomed by this nice breeze. The kid has the best side the whole time! The breeze was enough for me to get my mojo back though. I took two breaths and determined that he would be hearing my victory screams and watching my victory dance. I did finally beat my son at the net and nature heard my victory screams but I had no energy for a victory dance. I left the court happy I survived almost 2 hours of partial humiliation and near heat stroke and held my own. It also helped that I looked cute in my tennis skirt. I have a hard time living in the present. I am usually 5 steps ahead thinking about what if this happens or what if that happens. Or sometimes I go way back and think what if I had done this or that. It isn’t necessarily because I think I made bad choices as much as I am curious about what could have been (sometimes it is wishing I had made a different decision like when I stole the gum cigarettes from the corner store.) So when I go on a trip I tend to go past the trip in my mind and think about going home. It is a very annoying habit I have. I want to be where I am in all things. I want to enjoy the present as it is happening because it goes away so fast. For some reason the ocean seems to make me stay in the present. I try to enjoy every minute of it because I know it will be awhile before I will be there again. I grew up only 45 minutes from the ocean and I think I took it a little for granted. I guess that is the way it is with most things in life. When you have something so accessible you don’t appreciate it. My mom and dad both grew up in Monterey, Ca so we visited it often. I really didn’t realize how much the feel of the breeze against my cheek, and the sound of the crashing of the waves against the rocks had become something I needed. I now live about 3 hours away from the ocean, and I try to go as often as I can. When I am there I try to inhale the air hoping it will stay with me long after I leave it. 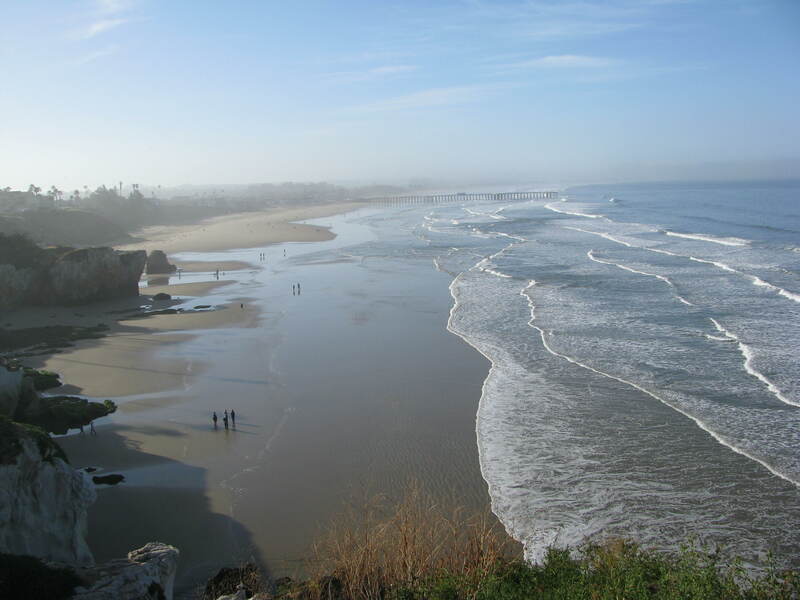 I try to memorize the sound of the tide going in and out so I can close my eyes and be there in my imagination. I take shells and rocks home with me so I have a piece of the ocean in my house. Nothing calms me like the ocean. When I was younger I imagined visiting so many countries and seeing so many things. Now I imagine visiting so many beaches! I’m thinking I should plan and save for a worldwide beach tour. I could fly to Florida and spend a few days in the keys, then off to the Carribbean and stop at an island or two I’ve never been to for a week. I could then fly to Cape Town in South Africa and see the beach there. Next I’d be off to Seychelles–which is supposed to be incredible–then Australia, New Zealand, and wrap the trip up in Hawaii. I wonder how much that would cost and how much time it would take to really enjoy the trip? And, could I go that far and not stop in my adopted country, Spain? This was a post I did in 2007. I figured since it is 2010 and I have NEVER re-posted a post that I would re-post this one…Since the writing of this post I have successfully gotten up by 6:00am some mornings and I even have a garden that feeds my family of five. Hold the applause, yes, I am incredible. I visited my home town again recently. It was a sad occasion, a funeral. I came back with a different mind set of my home town this time. I have always mocked my home town, but I realize now that it wasn’t too bad of a town to grow up in. What is sad though, is that the downtown I knew is gone. And, tell me, why is it when you go back everything seems so small like you are a giant now. Why do we seem to remember everything through the eyes of a 9-year-old (if you have read my blog frequently then you know I have said this before I still don’t get it.) I will write more about the town in future posts, but for now, main street is the topic–not cruising it though — still another story. The street that really seemed small was main street. I remember when I was little that my mom would not allow me to cross that street by myself. It was the big street where everyone drove fast (30 miles an hour). I didn’t need to cross the street most of the time anyway. 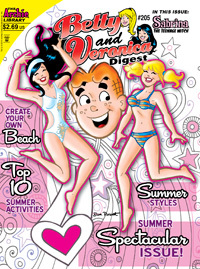 If I needed some gum or pop rocks I would go to the corner store (it had another name, but it was on the corner so that is what we named it), if I needed a Betty and Veronica comic book then I went to Henry’s bookstore (oh man, I just found out they started publishing those again. I must find a comic store) and, if I needed a maple bar or an eclair then the bakery was on the right side of the street so I didn’t need to worry. I said all of that to say that I really didn’t cross the street too often…until I got to the age where I needed 78 vinyl records and the record store was across main street. Once again the store did have a name (Radio Shack?) but we called it the record store because it had records. One day my brothers wanted to go to the record store to buy — yes, records. For some reason my brother wanted to cross the street alone first and look at something and he told me to stay on the other side of the street. I didn’t want to stay on the other side of the street all by myself — it was scary. I wanted to follow my brother. So I did follow my brother and didn’t bother to look for cars. I can still hear the brakes on that Datsun pickup (I’m guessing on the Datsun, but details make for a better story.) I don’t know who was more horrified, the driver of the pick-up truck or my brother. So, it is surprising why main street looks so small because it seemed HUGE back then.